I have made a conscious effort never to sum all the hours I’ve lost to the Elder Scrolls series, as I think I would find it a little soul crushing. Every Elder Scrolls game I’ve ever tried has mercilessly sucked me in due to my love of exploration. I love finding a new side quest or dungeon, or even just an especially beautiful location (Skyrim in particular has these in abundance). While the main plots of the games are usually interesting, and many of the side quests have pretty great stories (especially the Dark Brotherhood quest lines in Oblivion and Skyrim), when it comes down to it these games, for me at least, are all about discovery. I love exploring Tamriel, and I love all the awesome skill customization available (even if I build a stealth character every time). So naturally a game in which I can explore most of Tamriel is pretty darn appealing to me. And the fact that I can do it with friends? Awesome. 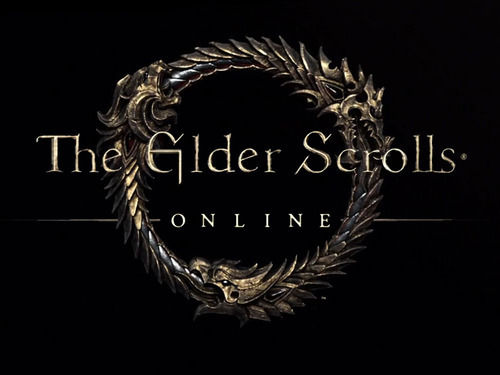 Needless to say, I’m pretty excited for The Elder Scrolls Online, if not a little scared. It’s a combination of two of the things I find most addicting: the Elder Scrolls series and MMORPGs. I used to die a little inside every time I typed “/played” in World of Warcraft. But even if this game destroys my life, it will destroy it in the most fun way possible, right? And thus, even if I’m a little scared the game will turn me into a recluse, The Elder Scrolls Online makes it into my top five most anticipated games of next year. Now if only they would let me into the beta. It’s probably worth noting that Bravely Default is the only game on my list which isn’t an entry in a series I already know and love. That being said, I probably know the least about Bravely Default out of all the games on my list, but from what I do know, it sounds like a game I’m sure to enjoy when I play it next year. The first and foremost qualifier is that it is a JRPG, which has consistently been my favorite game genre for quite a while. It features turn based combat and a job system, two gameplay elements I’m fond of. On top of that, the game looks lovely. I love the concept art and the cutscenes. The game also looks to have an intriguing story and setting, as well as some interesting characters. Along with all that, I’ve heard nothing but great things about the game, and it’s won critical acclaim and a large amount of popularity in Japan. The fact that it’s portable is also a plus for me. All in all, Bravely Default should be an awesome addition to the growing list of great 3DS games, and definitely earns its place on my list. 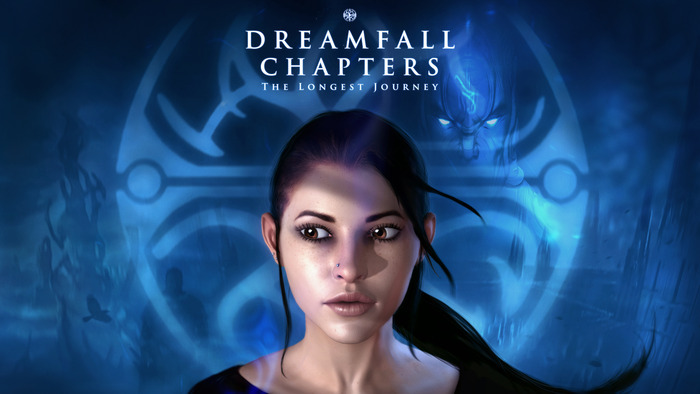 Dreamfall Chapters: The Longest Journey is one of the many games we can thank crowdfunding for. The game far exceeded its Kickstarter goal this March, and I couldn’t be more excited. Dreamfall Chapters is a sequel to The Longest Journey and Dreamfall: The Longest Journey. All the games in The Longest Journey series are adventure games, a genre which I love despite the fact that entries in the genre have become less and less frequent. The previous games in the series were both incredibly imaginative and featured fantastic stories. The first game was released in Norway all the way back in 1999, and is a masterpiece of storytelling that most of today’s games can’t compete with. The game crafts a beautiful and interesting world (or technically “worlds”) and some amazing characters. There seems to be a lot of discussion in the gaming community these days about the lack of well-developed female characters in video games, yet The Longest Journey gave us April Ryan all the way back in 1999, and Dreamfall: The Longest Journey gave us Zoë Castillo in 2006, both of which are incredibly complex, strong and well-developed women. I’m confident that Dreamfall Chapters: The Longest Journey will live up to the legacy created by its predecessors, especially since it reached so many of its stretch goals, which will allow the developers to enhance the game and add to its story. Thus, Dreamfall Chapters earns its well-deserved third spot on my list. I have always been a BioWare fan through thick and thin. From Baldur’s Gate to the Mass Effect series, BioWare has always impressed me with their world-building and likeable characters. My excitement for Dragon Age: Inquisition was fairly limited after Dragon Age 2 removed a lot of the gameplay elements I felt made Dragon Age: Origins such a great game. I, like many, was also pretty darn disappointed with the ending of Mass Effect 3 and how meaningless my choices throughout the series ultimately ended up being. However, my excitement for Dragon Age: Inquisition increased exponentially at PAX Prime this year. I got to attend several BioWare panels, including the big Dragon Age: Inquisition panel where they demoed the game for the first time. From what I was able to take away, Dragon Age: Inquisition will be bringing back all the things I loved in Dragon Age: Origins and then some. The developers promise that combat will be much more tactical, which was very apparent in the demo. Not only that, but the game will feature a much bigger world and allow for lots of exploration. And to top it off, BioWare promises that your decisions will have a much greater impact on the story and that the player will have greater control over their experience. Not to mention the Qunari have been added as a playable race, along with an all new engine, meaning that the game looks gorgeous. And Varric’s back! So in short, I have a lot of faith that Dragon Age: Inquisition will focus on a lot of the elements I’ve come to love in BioWare RPGs, which is why it takes the number two spot for my most anticipated game of next year. 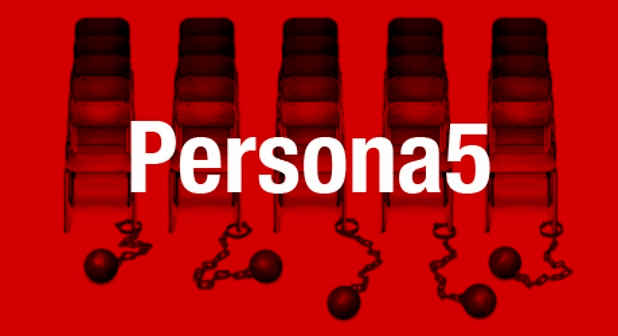 Hooooo boy, Persona 5. I’ve been waiting for this game ever since I first finished Persona 4 back in 2008. I suspect this game will be popping up in many other “most anticipated games” lists, and rightfully so. The Persona series has yet to disappoint me, and I would easily consider Persona 3 and Persona 4 to be some of my favorite games of all time. I tend to place a lot of value in both story and characters, something the previous Persona games have excelled at. I really appreciated their focus on developing their characters and dealing with some pretty mature themes in the process. On top of that, I love the gameplay, from the turn based combat to the social links. To top it off, Atlus has suggested that Persona 5 will have a different atmosphere from the previous games. The desire for freedom will play a significant role, and the story will focus on overcoming trails and breaking free of what binds you. Atlus also promises realism from both the characters and the story. These intriguing details, along with the fact that the game is the next entry in one of my favorite series, make Persona 5 the natural choice for my most anticipated game of 2014.